Some lucky guys have got their exlusive Sechs volt-mug. 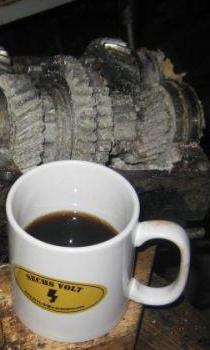 If you are one of them we will be glad for a picture with the mug and some Sechs volt-activity:) Please send over your photo to: haakonasolberg@hotmail.com and we will post it on our blog. By the way is it allowed to put some stronger liquids in the mugs in case of big problems?